GameForge today announced that the high-octane PvE and PvP MOBA action title, Orcs Must Die! Unchained, has officially entered Open Beta, inviting all interested players to take to the field of battle in an intense MOBA inspired game as teams send waves of minions and construct a deadly maze of traps. To celebrate the beginning of the Open Beta event the team are rewarding all players with the unique ‘Firestarter’ skin for Smolder, which will be given to all players that log in and play between March 29th and April 13th. There’s 3 boxes all with some great content just waiting to sweeten your game experience. Take a look for yourself: shop. Earn cool rewards with your friends. Will you manage to earn yourself the Blackscale skin for Blackpaw? Read more here. One final time we have reset all accounts in preparation for the open beta. 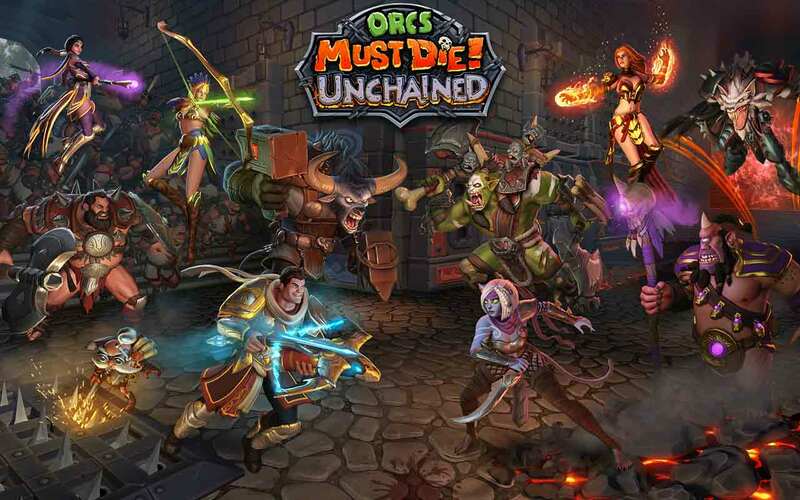 You can now play Orcs Must Die! Unchained on Steam. The website has been given a new lick of paint and the forum design has been freshened up too! The voiceover errors have been resolved and some texts have been adjusted across all languages.